UPDATE: Dec 9, 2:30PM. All ConnectCarolina systems are back online. Please contact the help desk at help.unc.edu or 919 962-HELP if you encounter any issues. Frequently Asked Questions about the Finance upgrade changes. Click here to see a list of known issues that the ConnectCarolina team is currently working to resolve. “What’s Changing with the Finance Upgrade?” webinar recording is available! If you didn’t get a chance to join the live webinar on December 5 or you’d like a quick reminder of the changes, you can watch the recording or download the slides. ConnectCarolina keeps moving forward! The ConnectCarolina Finance system is moving to an upgraded software version. You may remember when the Student Administration application made the move in October, 2017, and the HR/Payroll upgrade occurred in March, 2018. Check out the tabs below to find out the “what” and the “why” of the system upgrade. 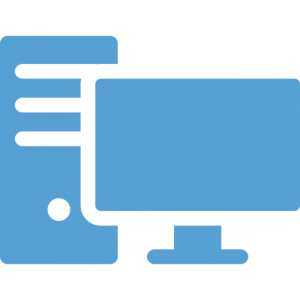 If you use the Finance component of ConnectCarolina, you’ll see a few minor screen changes as well some feature and functionality changes when you log in to the ConnectCarolina Finance pages on December 10. Check out the “What will be different?” tab below. The Finance software upgrade is scheduled for the weekend of December 7- 9. You will notice the changes on Monday morning, December 10. The software upgrade requires a ConnectCarolina Outage. How does the outage affect me? Connect Carolina Finance application will be unavailable beginning at noon on Friday, Dec. 7 until 7:00 am on Monday, Dec. 10. Connect Carolina HR/Payroll application will be unavailable beginning at noon on Friday, Dec 7 until 7:00 am on Monday, Dec. 10. ConnectCarolina Student Administration application will remain online until Saturday night at 10:00 pm. It will be unavailable from 10:00 pm on Saturday, Dec. 8 until approximately 8:00 am on Sunday, Dec. 9. UPDATE: Dec 9, 10:00 AM. The ConnectCarolina Student Administration component is back online. Faculty and Students should be be able to log back to view and enter grades. The Ad-hoc Queries (RPT) environment for Finance will not be available until Tuesday, Dec. 11, 2018 at 7:00 am. Special Information for Faculty: we recognize that you may be entering grades during this weekend, so the outage for Student Administration applications is in as small a window as we could make it. Click on the Impacts of the Outage tabs below for detailed information on the affected systems. Will any links in ConnectCarolina work? The short answer is yes. There are links on the ConnectCarolina homepage that access sites that are outside of ConnectCarolina and they will be available until Saturday night at 10:00 pm. You may be used to linking to other sites from ConnectCarolina and there are some links to sites outside of ConnectCarolina that will be accessible from ConnectCarolina except from 10:00 pm on Saturday, December 8 until 8:00 am on Sunday, December 9. For example the links under Enterprise Reporting, General Links, Teaching Resources and Research Resources will be available until 10:00 pm on Saturday, December 8. However, you will not be able to get to those links from ConnectCarolina from 10:00 pm on Sat, Dec 8 until 8:00 am on Sun, Dec 9. 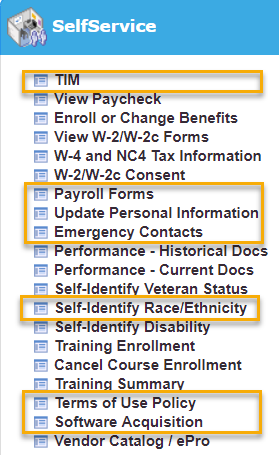 There are also a few links under HR/Payroll and Finance that will be available until 12/8,10:00 pm such as PeopleAdmin and Works P-Card, but keep in mind that they will not be able to pull information from ConnectCarolina. Click the General Impact and ConnectCarolina Portal button below for more details on what will be available. The software upgrade will enable ConnectCarolina to take advantage of new software features in the future – such as a new look and feel that is simpler to use, reduces clicks and translates to any mobile device. The upgrades ensure UNC will be able to receive continuing vendor support for ConnectCarolina including important security updates. The updates reduce accessibility barriers that make it difficult for many people with disabilities to use ConnectCarolina. The upgrade allow us to add new features and functionality for you in ConnectCarolina. 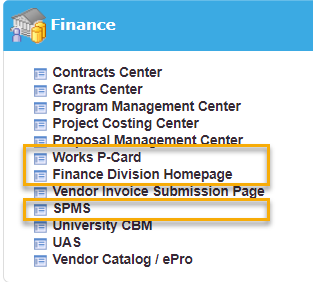 The Finance WorkCenter is expanded and includes more links to the pages that you use most. Screen labeling changes especially in Purchasing and Campus Vouchers. For instance Vendors will now be called Suppliers on the screen. There are some changes that are specific to a person’s role in the system and the screens that they can access. If you are affected by any of these changes, you will receive an email with more details. Budget transfers can be copied just like budget journals. Office of Sponsored Research and Central Office users will be able to access new WorkCenters from the Finance WorkCenter. Click on the New Features and Functionality tabs at the bottom of this page to see some of the changes for Finance. Except for Finance and HR/Payroll applications you will still be able to sign into ConnectCarolina and use the links that take you to sites and systems outside of ConnectCarolina up until 10:00 pm on Saturday, December 8. From 10:00 pm (12/8) on Saturday until Sunday (12/9) you will not be able to sign into ConnectCarolina. 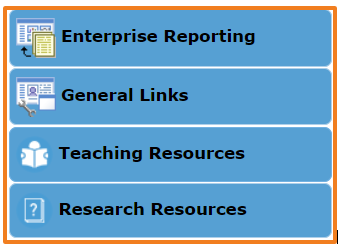 For example the links under Enterprise Reporting, General Links, Teaching Resources and Research Resources will be available until 10:00 pm on Saturday, December 8. The links highlighted in orange will also be available up until 10:00 pm on Saturday night. Keep in mind that they will not be able to pull information from ConnectCarolina. Faculty, staff and student employees will not be able to use the Self-Service functions such as View Paycheck during the HR/Payroll outage. December 7 is a payday, and you will be able to view your paychecks until noon when the HR/Payroll system goes offline. The TIM system will be available, but you will not be able to access it using the link in ConnectCarolina. If you need to use TIM during the outage, go to https://unctim.unc.edu/employee. ePro orders cannot be placed or changed during the outage since they are part of the ConnectCarolina Finance system. Airgas orders after noon on Friday, December 7 can be placed by emailing the ANWMorrisvilleAdministration@airgas.com, which is routed to Teresa Suggs (919-544-3772 ext 311) or Jason Newhouse (919-544-3772 ext 312). Airgas will handle the orders over the outage period and work through the technical process after Connect Carolina is back up and running. ARC3 orders placed after noon on Friday, December 7 until 7:00 am, Monday, December 10 should be placed directly with Michael Banks at michael.banks@arc3gases.com. InfoPorte and SAS Visual Analytics reports will be available during the outage weekend with data current as of Thursday, December 6th. The data you will see on Monday morning, December 10, will still be current only through December 6. Data will be refreshed Monday evening (December 10) and data will be current as of Monday, December 10 on Tuesday morning December 11. The ConnectCarolina reporting instance (accessed using the Ad Hoc Reporting (RPT) menu option) will not be available for Finance component and will be down an additional day, coming back up Tuesday, December 11 at 7:00 am. The RPT environments for both HR and Student Administration will be available on Monday, December 10 at 7:00 am. 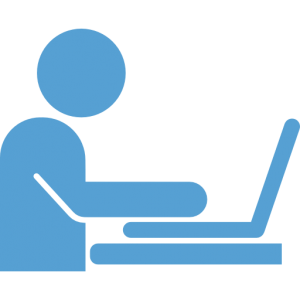 Companion systems such as PeopleAdmin and LawLogix will be available, but they will not be able to pull information from or send information to ConnectCarolina until the upgrade is complete. HCM RPT environment will not be available until 7:00 am Monday, December 10. Position creations and updates approved and executed in ConnectCarolina after 2:00 p.m. on Friday, December 7 will not be available in PeopleAdmin until Monday, December 10. New hires, terminations and department changes executed in ConnectCarolina after 5:00 p.m. on Thursday, December 6 will not be available in LawLogix until Monday, December 10. 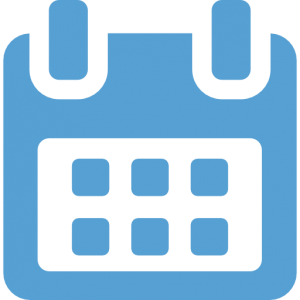 New hires and terminations executed in ConnectCarolina after 5:00 p.m. on Thursday, December 6 will not be available in BenefitsFocus until Monday, December 10. Affiliate Request will be unavailable from noon on Friday until 7:00 am on Monday. The sites highlighted with an orange box are links to sites outside of ConnectCarolina and they will be accessible from ConnectCarolina except from 10:00 pm on Saturday, December 8 until 8:00 am on Sunday, December 9. Keep in mind that they will not be able to pull information from ConnectCarolina. The ConnectCarolina Student Center will be down. UPDATE: SUNDAY, DECEMBER 9, 8:45 AM The ConnectCarolina Outage for the Student Administration component is running long. Faculty and Students should be be able to log back in at approximately 10:00 AM. We recognize that Faculty may be entering grades this weekend, so, we made adjustments to the upgrade schedule to minimize the impact to the ConnectCarolina Student Administration application. You will not be able to enter or upload grades from 12/8 at 10:00 pm until 8:00 a on 12/9. ConnectCarolina Student Administration application will remain online until Saturday night, December 8 at 10:00 pm. It will only be unavailable from 10:00 pm until approximately 8:00 am on Sunday, December 9. 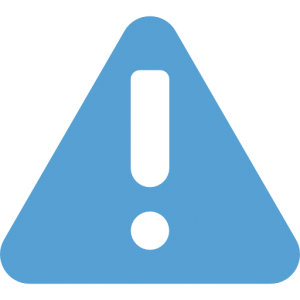 Other external vendor sites such as Credentials, Coursicle, CollegeScheduler will also be down during this outage. Students will not be able to access or use ConnectCarolina for any student action such as viewing class schedules or updating personal information.during the hours of 10:00 pm, Saturday, December 8 until approximately 8:00 am on Sunday, December 9. Please note that the ConnectCarolinaGO mobile app will also be down during the outage. The following applications will not be available during the outage. 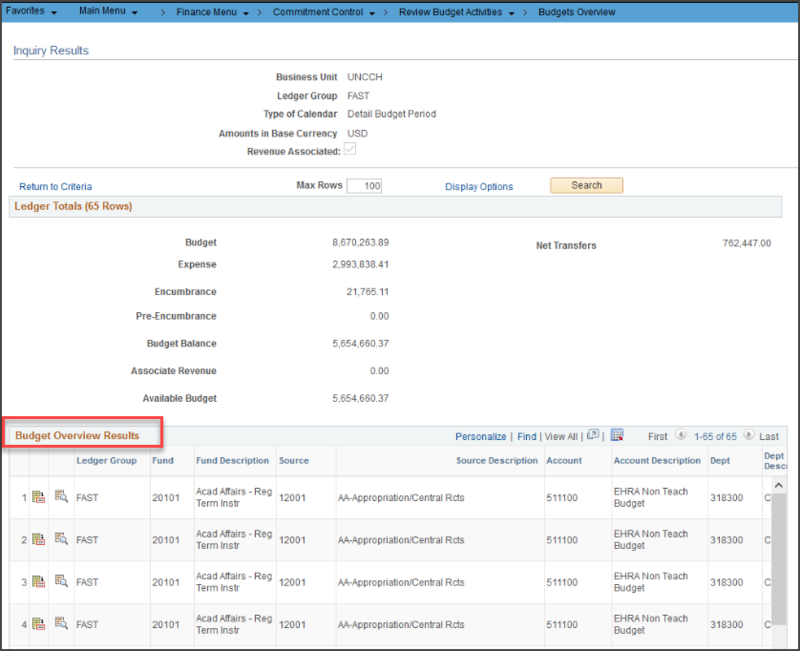 The Finance WorkCenter is expanded with more links to pages that you use most. You will not have to rely on breadcrumbs. Copy Budget Transfer: This is the same functionality that you already have to copy a budget journal. 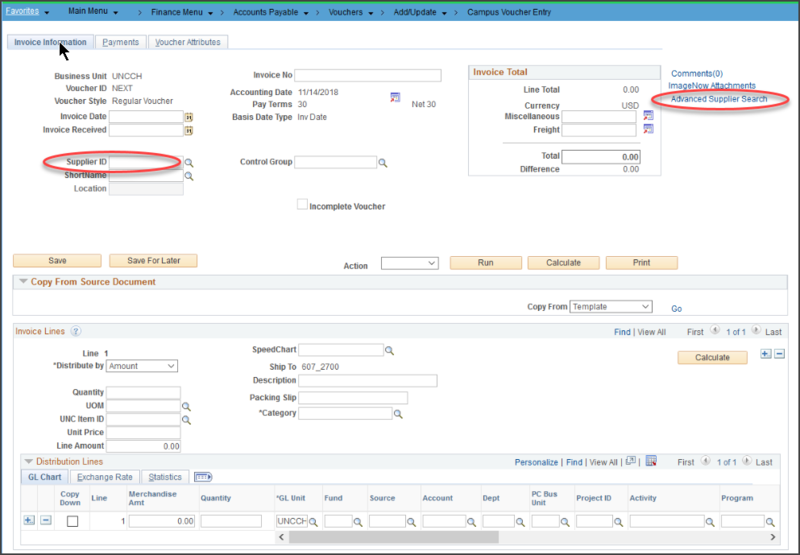 Budget Journals and Transfers – if a transaction fails budget checking, the originator needs to check the budget header status. A popup will no longer appear. You will notice look and feel changes as well as many changes to field labels. 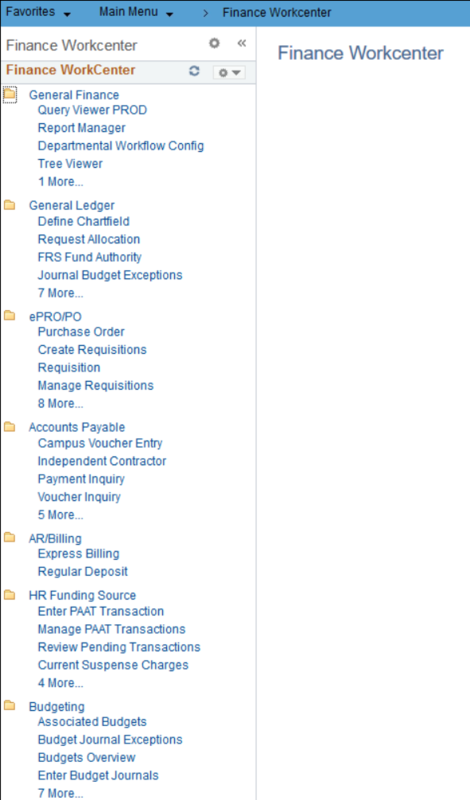 The Campus Voucher page has a new layout. To see the chartfield, there’s an additional click to see accounting lines. Look for upcoming communications with the details on the new features and functionality available to Central Office Staff.